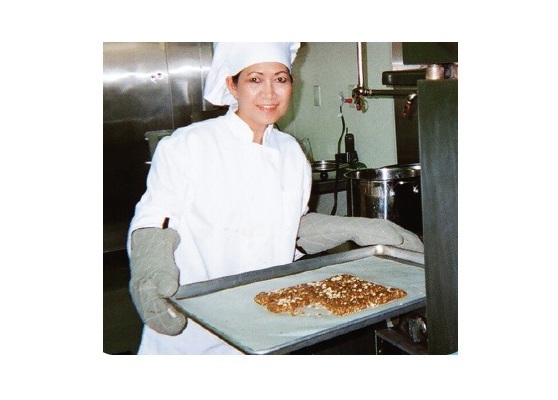 When Linda Ikeda was diagnosed with lupus and could no longer eat wheat, she developed a healthy snack bar that was wheat-, dairy- and cholesterol-free. Friends convinced her to take samples to local coffeehouse chain It’s a Grind, where they were a hit. Suddenly Ikeda had a business—and a new mission in life. “I want to show people they have choices in healthy eating,” explains the founder of Jumpstarter BodyFuel. In early 2008, after attending a marketing seminar sponsored by Long Beach City College SBDC, she signed up for counseling with instructor Phil Glover. Glover recognized the potential of Ikeda’s business immediately. “Linda’s bars reach out to a niche market of people who are allergic to wheat products,” he says. Glover helped Ikeda write a business plan and marketing plan, identify potential clients and find manufacturing help. Taking full advantage of the SBDC’s resources, Ikeda learned from other counselors how to fine-tune her Web site, obtain a trademark and get publicity. Pinpoint your target market. At first, Ikeda thought her target market was “everyone who wants to improve their eating habits.” Glover helped refine her focus, explaining that since she didn’t have a retail store, her target customers were not consumers, but retailers. Streamline processes. At first, Ikeda handled every step of manufacturing herself — from blending ingredients to packaging. Glover suggested hiring a blending company to mix ingredients, saving a step. Now, she’s seeking co-packers to automate packaging. Since she began visiting the SBDC (“For a year, I was going there almost every week!” she recalls), Ikeda’s sales have increased by 50 percent. She now rents a commercial kitchen and has four part-time employees. Jumpstarter bars are sold in nine Southern California Whole Foods locations and 32 coffeehouses nationwide, as well as in spas and gyms. Ikeda’s goal is to get the bars in Whole Foods nationwide, then expand to other chains. She also plans to apply for a loan from the city of Long Beach. Along the way, she will keep turning to the SBDC for assistance.